TheMaster Mars Portable Sport Treatment Massage Table by Master Home Products is one of the most revolutionary and long lasting massage tables around. The table is constructed from Aluminum and Honeycomb Fiber ABS to create a firm table yet super light in weight. This table weighs 22 lbs yet has 550 lb weight capacity. Moreover, the table legs with feet ensured the table can work on uneven or rough surfaces. 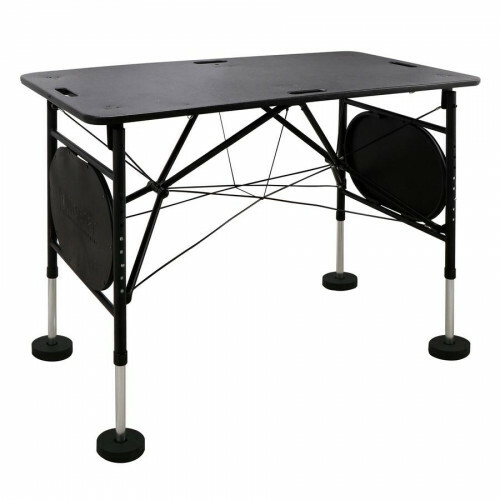 The table can easily be transported from point A to point B, equipped with handles and carrying straps. Make your life easier and purchase this treatment massage table today!